When the top 120 finalists were named for the 2018 Sunshine Coast Business Awards on Monday, 14 members of the Food and Agribusiness Network (FAN) were named across various categories. As a local not-for-profit, industry-led cluster FAN itself was delighted to make it through to the finals in the Social Enterprise category. Emma Greenhatch, Managing Director of FAN said, “The timing is perfect in terms of the maturity of FAN. We are about to celebrate our 3rd Birthday and now have 230 members from across the food value chain. “And on top of that, many of our members are winning award after award on the national stage and this region is really starting to be recognized for what we deliver in terms of product and innovation in the food and agribusiness sector. 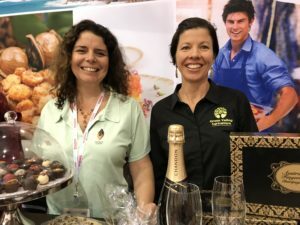 FAN works incredibly hard behind the scenes to ensure their members receive every opportunity to showcase the outstanding local produce we have on the Sunshine Coast. Seven of the finalists were in the Agribusiness Category and included Boss Aust (GROW), COYO, Good Harvest Organic Farm, KOKOPOD Chocolate Australia, Montville Coffee, QCamel and Ten Acres. One of the goals of FAN is to help local food and agribusiness operators to do business on the world stage and they will soon to be launching two new programs that will further support members to access new markets nationally and internationally. 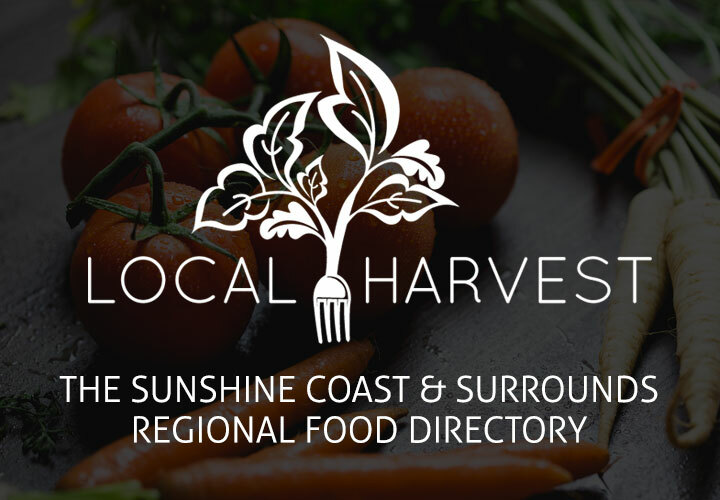 In addition, with the support of the Sunshine Coast Council, FAN is also developing a members’ capability directory to support their purpose to help the food and agribusiness industry to connect, collaborate and grow. “We thank the Sunshine Coast Chamber Alliance and Sunshine Coast Council for their continued support of the Sunshine Coast Business Awards, as the very process of entering allows us to reflect on our businesses and celebrate our achievements”, Ms Greenhatch said. If you would like more information about this topic, please contact Emma Greenhatch at Food & Agribusiness Network or email at [email protected]. 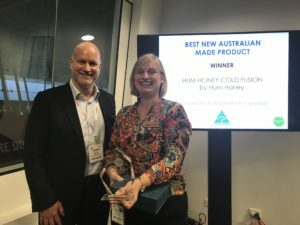 Following hot on the heels of their recent win at Fine Food Australia for “Best New Product for the Australian Made Category, 2018”, Hum Honey has just been named Regional Food Champion Other Product Category at the Sydney Royal Fine Food Show. Managing Director and chief “Bee Girl” Leisa Sams said, “what an amazing few weeks it has been for us. We are absolutely delighted that our products are being recognized at such a high-level right across Australia, and ever so proud to fly the flag for Regional Food for the Sunshine Coast. “To have one of the judges describe our honey as being “like Christmas in his mouth” when he tasted it is something else. 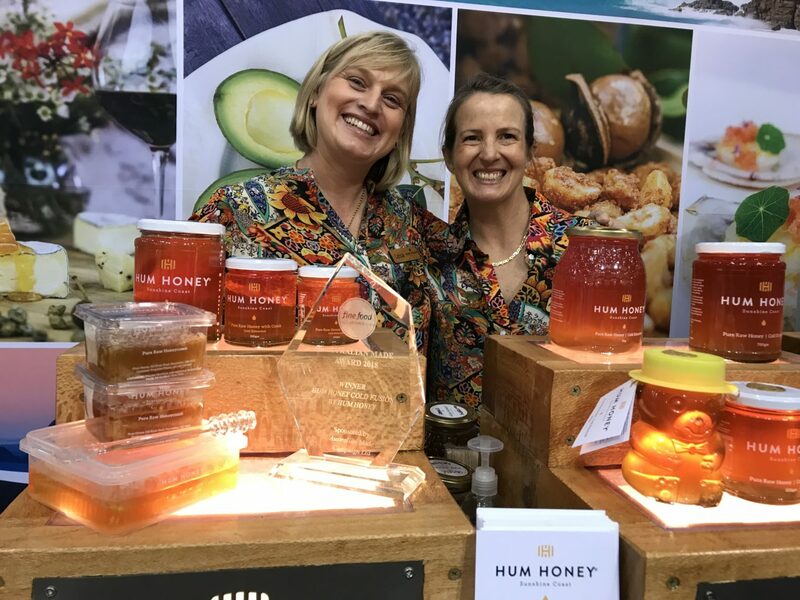 However, Hum Honey was not the only local food and agribusiness producer to win awards at the Sydney Royal Fine Food Show with The Bear and the Ladle, Barenuts, Noosa Black Coffee, Foods of Noosa and Ugly Duck Preserves also taking home another eleven medals for our region as well. And behind the scenes, the Food and Agribusiness Network (FAN) is working hard to ensure FAN members receive every opportunity to showcase the outstanding local produce we have in the Greater Sunshine Coast region, whether that be through promoting awards programs like these or helping them to exhibit at consumer and trade shows. “Helping local food and agribusiness operators to expand their markets is one of the goals of the Food and Agribusiness Network (FAN),” General Manager Emma Greenhatch said. With the Sunshine Coast continuing to be recognized all over Australia for the quality and variety of what we produce, expect to see many more accolades being awarded to our very talented food and agribusinesses. 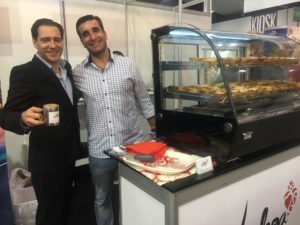 Helping local food and agribusiness operators to do business on the world stage is one of the goals of the Food and Agribusiness Network (FAN), a local not-for-profit, industry-led cluster. 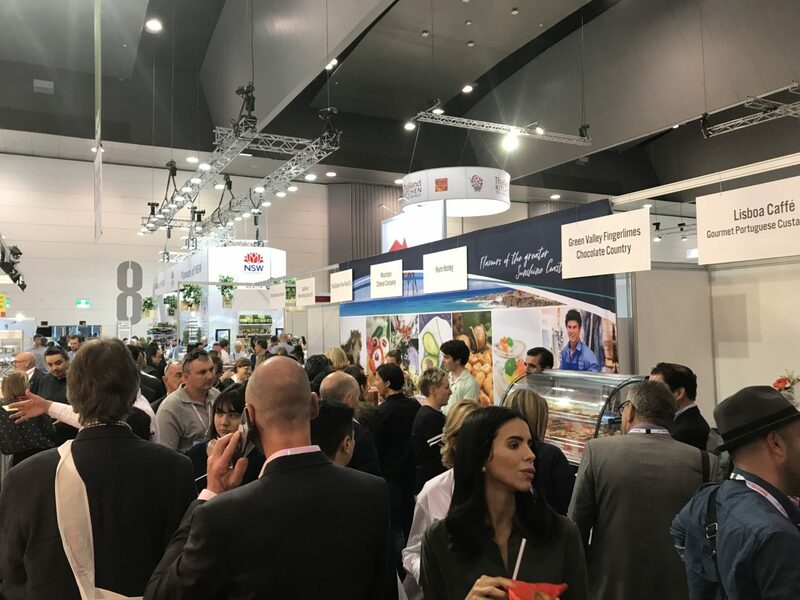 And next week, FAN, in partnership with Sunshine Coast Council will be taking eleven delegates to Melbourne for the annual Fine Food Australia exhibition in a bid to do just that. Fine Food Australia is the country’s leading trade exhibition for the food service, hospitality and retail industries. 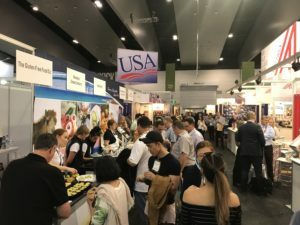 This year it will be held in Melbourne from 10-13 September, attracting more than 1,000 exhibitors and 26,000 visitors. 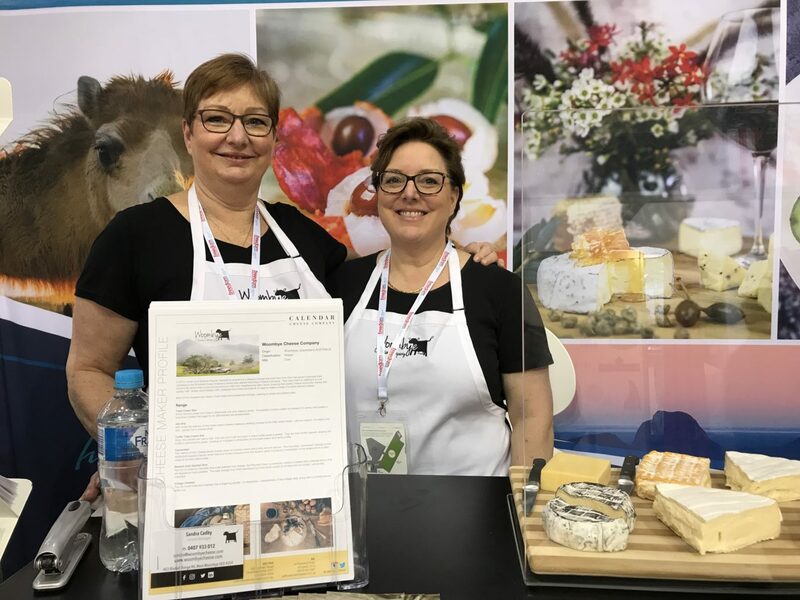 Making it possible for our local food and agribusiness industry to be a part of this delegation, and gain exposure to broader markets, is the support they receive from FAN and the Sunshine Coast Council. General Manager of FAN, Emma Greenhatch said, “The opportunity for our local food businesses to be able to showcase their products in person to potential buyers cannot be underestimated. Many of last year’s delegates have had opportunities that would not have otherwise existed without this exposure, and between them generated an estimated $750,00 in anticipated sales. It also keeps their products front of mind when future opportunities arise. “This is the second year we have been able to support FAN members to participate in this event and really showcase all the amazing products being produced across our regions. There is even something for Bernard Salt with Sunfresh Marketing showcasing their 100% natural Avocado Smash in long life pouches, so he can now have it on toast anywhere in the world!”, Ms Greenhatch said. For the delegates, this event presents an outstanding opportunity they may not have otherwise been able to do. 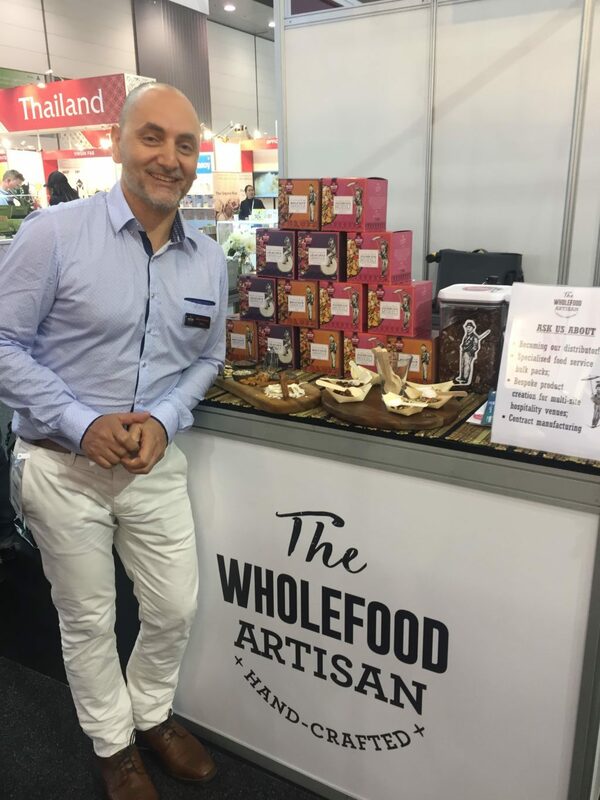 According to Kim Durant from Gourmet Fudge Supplies, “Exhibiting at Fine Food Australia was a fantastic experience for our business. We made contact with some great potential customers and even received some orders while we were exhibiting. It is definitely something we would like to be a part of again. “I loved that there were nine totally different Sunshine Coast businesses exhibiting that all supported each other. It was great fun and the orders have started coming in, so we couldn’t be happier”. The Wholefood Artisan – The Wholefood Artisan are creators of quality handcrafted granola for discerning foodies and time-poor professionals. They combine bold flavours and quality nutritious ingredients with finely tuned artisan techniques, reimagining what granolas can be. 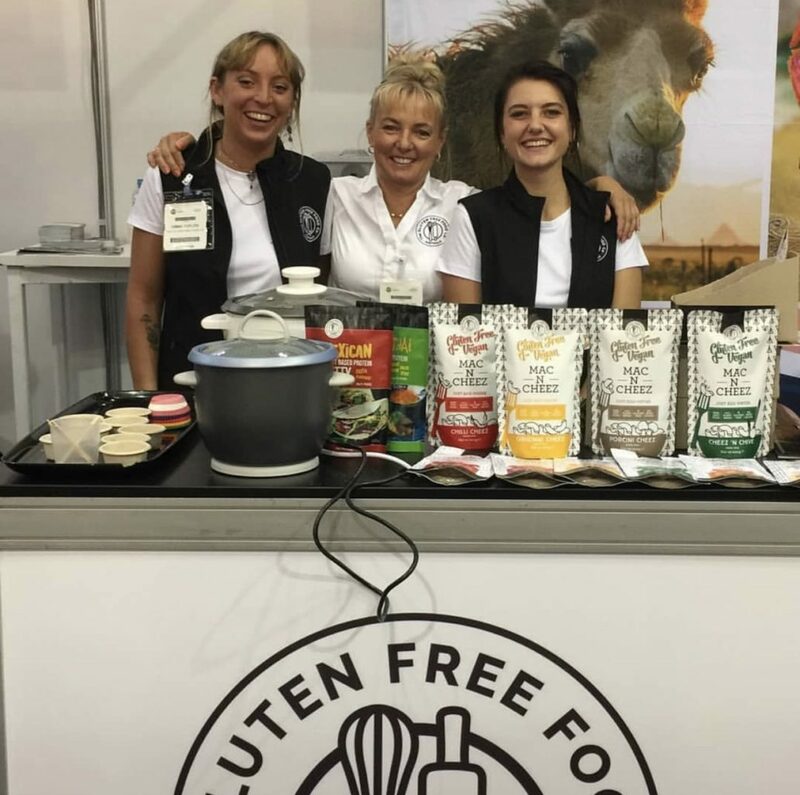 Their range of retail and food service ready products includes paleo, vegan and gluten-free options. Sunfresh Marketing Co-op – Sunshine Coast based Sunfresh will be showcasing their 100% natural ‘Avocado Smash’. Avocado Smash has no chemicals or preservatives added – perfect for hospitality industries, making fresh avocado available all year round. Australian grown and produced, Avocado Smash has a long shelf life, utilizing a unique process that is a world first, enabling broad distribution in Australia and overseas. The Gluten Free Food Co – The Gluten Free Food Co products are a range of gluten-free baking mixes, flour blends and pantry staples that are also free from nuts, dairy, eggs, soy, sesame and anything artificial. They recently launched a new range of vegan protein patty mixes and vegan Mac n Cheez, that have sold out across the country. They are now looking to export markets and increasing their product range. Woombye Cheese Company – Award-winning handcrafted cheese made in one of this country’s most beautiful regions – the Sunshine Coast hinterland. Woombye Cheese is passionate about cheese and create and produce all their cheese by hand, using traditional methods. All their milk is sourced from small local farms at Maleny on the Sunshine Coast and is collected daily, pasteurised and then delivered to their factory in West Woombye. 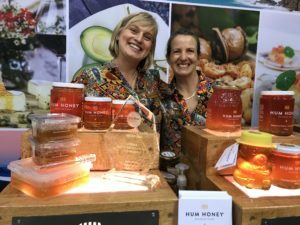 Hum Honey – Hum Honey have a delicious range of Original and COLD FUSION® honey that are sustainably harvested from hives in the pristine Sunshine Coast Hinterland using only natural beekeeping methods. Hum Honey bees free-range on their choice of subtropical rainforest and open forest hardwoods. All Hum Honey is raw and cold extracted, free of additives, preservatives, chemical residues and antibiotics, and is never heat-treated. Green Valley Agriculture – Green Valley Agriculture grow quality Australian native ‘Champagne Red’ finger limes that are available all year round. They package the finger limes in 100g and 250g punnets, as well as 2kg boxes, which are distributed all over the world. Champagne Red finger limes have low seeds, a red rind and the citrus pearls inside range from champagne colour through to a vibrant red. 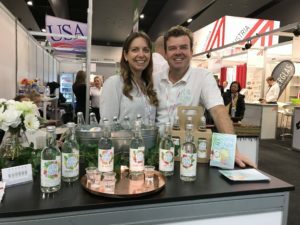 They are a great addition to seafood, desserts, drinks and salads, and can be infused into different products, such as honey, chocolate and gin for a unique flavour and Australian native twist. Chocolate Country – Chocolate Country prides itself on being a high-quality chocolate producer. They exclusively use Belgian chocolate and source only the finest natural ingredients, using local products wherever possible, to create a delicious array of truffles, chocolate slabs and novelty gifts. Their chocolatiers work in-store to hand-create their extensive range of artisan chocolates in small batches to ensure freshness, producing unique products that both look and taste divine. Montville Coffee – Montville Coffee roasts and produces award-winning Specialty Coffee and Cold Brew concentrate. Their products are known for their exceptional quality and indulgent flavours, with the assurance that they are fully Organic and Fairtrade certified. 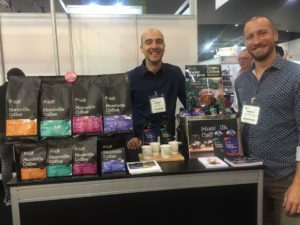 Montville Coffee have twenty years’ experience serving the FMCG market in Queensland and nationally. Mighty Bean Tempeh – Since 1981 Mighty Bean Tempeh has produced Australia’s finest quality Certified Organic Tempeh (ACO48P). 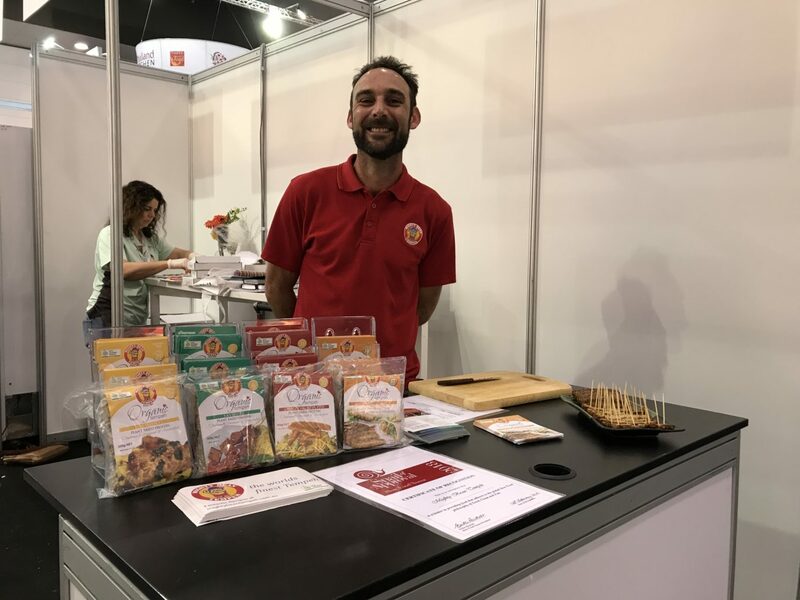 They have developed a fermentation process which provides the most wonderfully nutritious and delicious cultured Soya bean food type called Tempeh (pronounced ‘Tempay’). Tempeh is a versatile, healthy and hearty addition to any meal. Spring & Grove – Pure Australian spring water, carbonated and flavoured with extracts from apple and kiwi. Zero calories, zero sugar, zero preservatives, zero artificial sweeteners or colours. Lisboa Caffe – The most iconic Portuguese sweet, this traditional custard pastry consists of a crème brûlée-like custard caramelized in a crust of puff pastry, as created over 200 years ago by Catholic Sisters at Jerónimos Monastery in Lisbon, Portugal. Other local exhibitors also include The Country Chef Bakery Co who are a 100% Australian family owned business that creates some Australia’s favourite desserts and breads such as pavlova and banana bread and COYO who create innovative, naturally delicious, free from, coconut-based products, crafted using whole food ingredients. Both these outstanding businesses export all over the world and are Sunshine Coast success stories. “Chefs, restaurateurs, airlines, hotels and many other end users are increasingly seeking food and beverage from our regions as it is very much a part of the local Australian experience people are seeking, and we are delighted the world is taking notice!” Ms Greenhatch said. FAN’s Chair, Jacqui Wilson-Smith was the 2017 QLD AgriFutures™ Rural Women’s Award Winner. 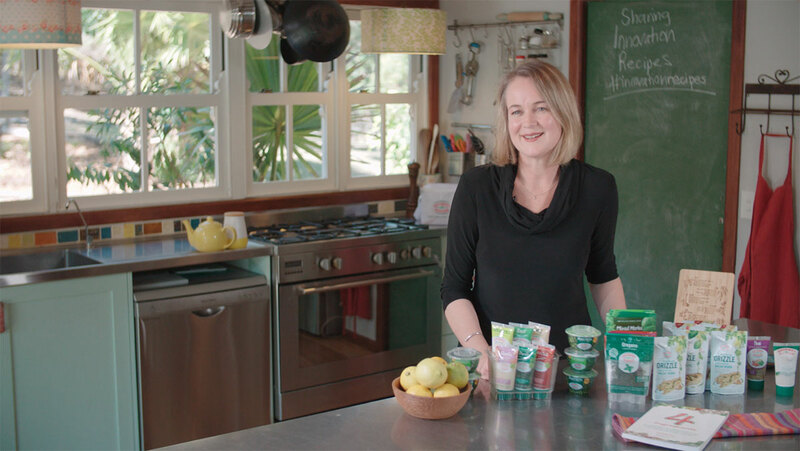 Jacqui was awarded a bursary for $10,000, which she has channelled into producing a video documentary designed for FAN members to learn from titled “Sharing a Recipe for Innovation” . The documentary brings to life the story of how Gourmet Garden became a customer focused, collaborative team of innovators adding value to fresh herbs & spices through the adoption of Design Thinking processes. Jacqui says that rural woman have been sharing cooking recipes for generations, to help each other avoid common mistakes and to fast track each other to enjoy tasty results. Sharing Innovation recipes is just like that! Jacqui hopes that the initiative will inspire other FAN members to also share their innovation stories and any useful skills and learnings that they have to offer other members. In addition to the video documentary, FAN members will have access to a Design Thinking eLearning experience and a practical guide on how to use design thinking tools when innovating for food and agribusinesses in Australia. The eLearning and guide will be released very soon, stay tuned! Here’s a trick question – how can the Chairman of the Food and Agribusiness Network (FAN) become a Queensland finalist in the RIRDC Rural Women’s Award 2017? Easy answer – the Chairman is a woman. Jacqui Wilson-Smith is a Sunshine Coast business achiever whose award nomination is based on her idea of creating an online training platform for food and agribusinesses. Jacqui is a passionate innovator which will be reflected in the pilot topic for training: “Design Thinking as an Innovation Strategy for Primary Industries”. According to Jacqui, the learning platform will enable the creation of virtual communities where rural businesses can collaborate, learn how to speed up the pace of innovation, reduce risks and create business growth. “The online content will be delivered in fun, engaging, digestible and extremely practical ways using multi-media such as short video documentaries, e-books, animations, podcasts, webinars, workshops and quizzes,” says Jacqui. Jacqui grew up on properties in the Sunshine Coast hinterland, where she learnt to milk a cow, crack a whip and even rode a horse to school! She was captain of Pomona State School before heading to boarding school in Brisbane. After uni, she worked for Buderim Ginger before moving to the UK. On return she was determined to centre her career on the Sunshine Coast. Jacqui has 20 years’ experience in innovation and marketing with agribusinesses. 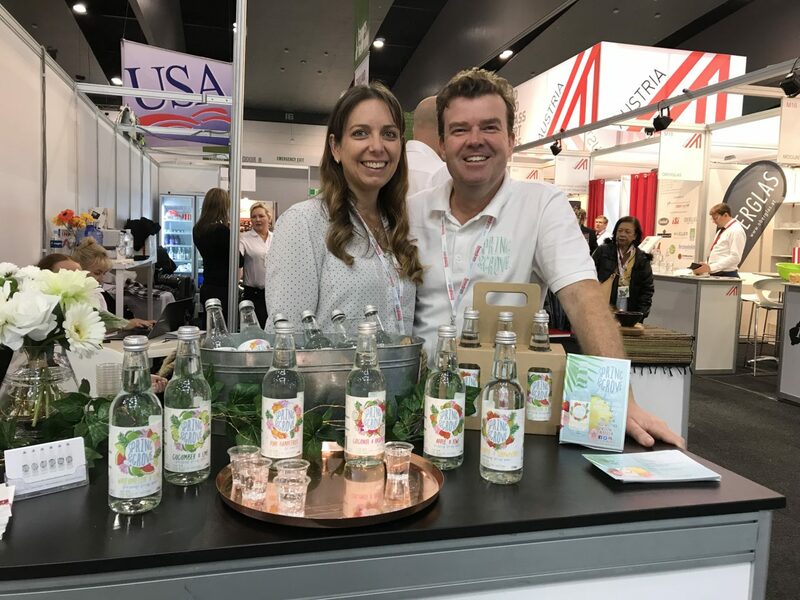 Jacqui’s leadership in local herb and spice company Gourmet Garden has seen her influence its success through her role as Head of Innovation & Marketing. Following McCormick’s acquisition of Gourmet Garden in early 2016, Jacqui was promoted to Global Innovation Manager for McCormick. She sees her role at FAN as a way of giving back and actively contributing to doubling the region’s food & agribusiness economy by 2030. In her role with FAN, Jacqui observed that due to pressing business matters it’s common for FAN members to focus on the short term, rather than dedicating time to understanding their customers and resetting their vision for innovation. “Design Thinking is an iterative process that can be learnt,” says Jacqui, “By empathising with customers to gain insights, businesses can rapidly prototype, fail fast and ultimately innovate successfully”. Jacqui has a track record of successful innovations in agribusiness and is keen to share her Design Thinking skills. FAN is a membership-based, not-for-profit company, established to support food and agribusinesses across the entire value chain within the Greater Sunshine Coast region. Agribusiness is one of seven high value industries identified in the Sunshine Coast Council’s regional economic development strategy. FAN’s vision is to actively contribute to doubling the region’s food and agribusiness economy by 2030 and for the region to be renowned for its food culture and innovation. FAN believes in knowledge sharing and creates opportunities for its 140 members to connect, learn, promote and grow their businesses. Jacqui is a charismatic and passionate speaker and is available for interviews this weekend via phone or at her property in Eerwah Vale. The Food and Agribusiness Network (FAN) Board has voted in Jacqui Wilson-Smith as its new Chairman for 2017. Outgoing Chairman and co-founder, Andy Eves- Brown will remain a Director on the Board looking after sponsorship. Under Andy’s leadership FAN has evolved from an idea to the dynamic network that it is today, with 130 members and 40 sponsors. It has a strong profile across the Greater Sunshine Region and has been recognised as a Finalist in the 2016 Sunshine Coast Business Awards. Jacqui, also a co-founder, brings a depth of agribusiness experience and good governance to the FAN Chairmanship, being recently admitted as a Graduate of the Australian Institute of Company Directors. Heading up innovation and marketing at Gourmet Garden, Jacqui is an advocate of ‘design-led innovation’, constantly pushing boundaries to deliver business improvements. One of Jacqui’s first actions as Chairman will be to announce a new Strategy Committee. In other changes to the FAN Board, Tony Sowden has been appointed as Secretary, replacing Mark Peters who will retain the Finance portfolio. As the only Australian-owned and operated dedicated agribusiness bank in the country, Rural Bank is backing farmers and the farming community in conjunction with the Woombye and District Community Bank® branch of Bendigo Bank. A wholly-owned member of the Bendigo Bank family, Rural Bank is operated entirely from Australian shores providing a range of tools that work for the financial demands of all farmers. Rural Bank’s partnership with local Bendigo Bank and Community Bank® branches ensures ease of access to specialist farm finance solutions and expertise in the community and on the farm, as well as contributing to the local community via the Community Bank® model. Rural Bank Relationship Manager, Ian Herd said Rural Bank’s close association with Woombye and District Community Bank® provides a local platform from which to help agribusinesses in the region succeed. “Woombye and District’s Community Bank® branch shares our understanding of the unique needs and demands of farming customers and communities in the Sunshine Coast and Wide Bay region,” Ian Herd said. “When you choose Rural Bank, you can be confident that you are supporting the local community and country Australia while being backed by the security of a successful, well-managed financial institution,” Ian said. Ian has more than 25 years of banking experience, including extensive expertise with a diverse range of farming enterprises. Woombye and District Community Bank® Branch Manager, Hayley Saunders said the branch enjoyed having the opportunity to support the local farming sector. “As a member of the community of Woombye and surrounding districts, we understand the seasonal challenges and opportunities that local farmers are presented with,” Hayley Saunders said. “Whether it is for capital improvements, seasonal input purchases or expanding land holdings, Rural Bank’s financial tools provide the flexibility to make quick decisions based on individual needs at any particular time. “And when you bank with Woombye and District Community Bank® branch you’ll be helping your community to prosper, by keeping local money and local business in your community – that’s good news for everybody,” Meagan said. To find out more about Rural Bank’s specialist farm finance tools, contact Ian Herd on 0409 229 590 or Hayley Saunders on 0429 361 652 to arrange an on farm visit. Local entrepreneurial startups showcase their innovative food, agribusiness and wellbeing products. The Sunshine Coast’s most talented entrepreneurs in the food, agribusiness and wellbeing sectors will display their unique products and launch their businesses at the first of a series of local Startup Demo Days on Tuesday 2 August at the Innovation Centre Sunshine Coast. Innovation Centre CEO, Mark Paddenburg says the collaborative approach with its partners – Spark Bureau, RDA, Advance Queensland, Food and Network Association (FAN) and Four Ingredients – brings depth to the Startup Demo Day series, enhances our entrepreneurial ecosystem and contributes to regional economic growth. Some of the exciting products and services to be officially launched for the first time at the Startup Demo Day include quality pre-prepared meals, dried fruits, skincare products, freshly pressed juices, tonics, pet treats, world’s first clip-together outdoor crockery, new-generation bee hive and a produce sharing platform. Startup Demo Day provides a great opportunity for the community and investors to gain first-hand knowledge of these exciting businesses hot off the shelf. “In these competitive and challenging times, we need to assist our entrepreneurs to build their profile, attract new customers and connect with potential partners and investors,” Mr Paddenburg said. Startup Demo Day is a free event on Tuesday 2nd August, 10 am to 12.30pm, followed by a light lunch. Venue: Innovation Centre Boardroom, Sippy Downs, Queensland. Australians are expressing growing concerns with where and how their food is created. Recent reports show it’s also something the next generation is particularly concerned with. In April 2016 ABC Rural reported “the stereotype (that young people do not care) is well out of date, with the youth of today asking more questions about their food than ever”. According to Food and Agribusiness Network (FAN) General Manager Amy Clarke, the organisation has begun the process of examining how to collectively promote the region’s farmers and producers. “The phrase for this approach is “provenance” and we know it’s important to our next generations,” says Ms Clarke. “The most famous example of provenance in action is Champagne in France. Decades ago this region took action to protect its name and method by preventing other regions or countries using the word Champagne. To kick off discussions, FAN is hosting a forum with well-­‐known industry personality Brodee-­‐Myers Cook, editor-­‐in-­‐chief for taste.com.au. “FAN believes this is an important discussion to be had with industry. Provenance is about connecting consumers with their producers in a fundamental way. The consumer wants to know where their food is from, where and how it has been grown, processed and cooked,” says FAN Chairman, Andrew Eves-­‐Brown. “Consumers value authenticity and will happily pay a premium if the product has strong provenance. As an industry I think we need to think about how we can communicate this better so that we can grow our sales and build our brands. Farmers will now have access to more simplified information about localised support during natural disasters and drought, thanks to a new website developed by the Queensland Farmers’ Federation (QFF) and funded by the Queensland Government. The farmerdisastersupport.org.au website presents the full cross-section of postcode specific financial and social wellbeing support available to farmers and primary producers, which will benefit the entire Queensland agriculture sector. Agriculture Minister Leanne Donaldson commended QFF for developing this fantastic resource. “During this record drought we have expanded financial and other assistance beyond farm business support to help farming families and farm communities,” Ms Donaldson said. Farmerdisastersupport.org.au was constructed through funding from the Department of Communities Child Safety and Disability Services. Communities Minister Shannon Fentiman said the useful new resource would help farmers access information more easily following a disaster. “Queensland farmers are the cornerstone of our state which is why it is particularly important that we support them in crisis situations to make sure they can get back on their feet,” Ms Fentiman said. QFF CEO Ruth Wade said the website allowed farmers and primary producers to input their postcode, select their industry and then see results and services specific to their local area which prioritises on-farm and industry specific advice and support. “It can often be confusing and overwhelming when trying to access assistance during drought and natural disasters. Much of the assistance on offer comes from a variety of organisations and different levels of government and these can often be difficult to navigate,” Ms Wade said. “What this website is designed to do is collate all these services and support networks into an easily negotiable, up to data set of localised results. “QFF has worked closely with the Queensland Government and its industry member organisations to ensure we have delivered a service that will help everyday farmers access the support that is available to them.